Keep up to date with what's going on at the club on the social scene, for cricket & club related news check out Latest News. If you have a notice or any information relating to an event you want posting here send it to us at admin@standishcc.co.uk and we'll add it. In an effort to keep all our information, events and announcements in one place can we kindly ask people to keep a close eye on our Social media feeds: Facebook and Twitter. Tickets and tables are available for this great annual event. Kevin Ratcliffe, Evertons most successful Captain along with the absolutely brilliant Ivan Brakenbury. 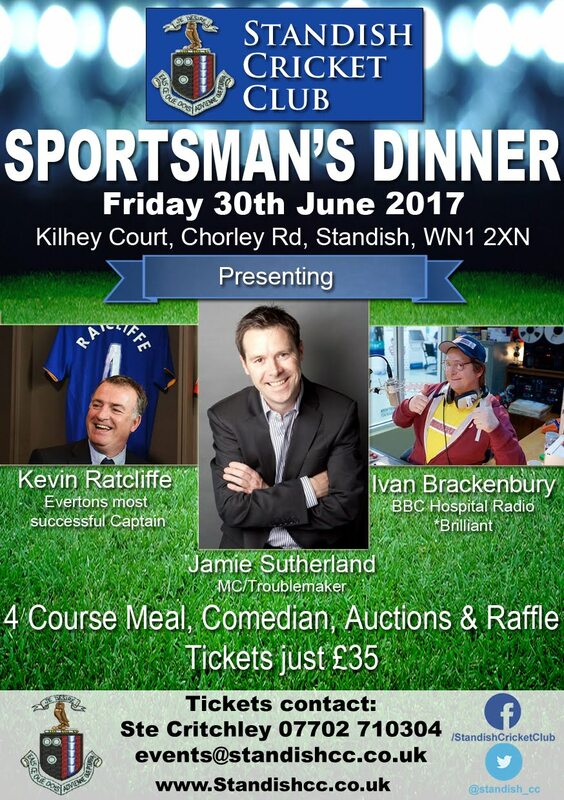 Hosted by the superb Jamie Sutherland - worth the ticket money alone! 4 course meal, reduced bar prices, auction and raffle prizes. This is a great event with a great MC, speaker and comedian. Please come along and support your local club, all money raised goes to the running of the club. Full tables and tickets still available. 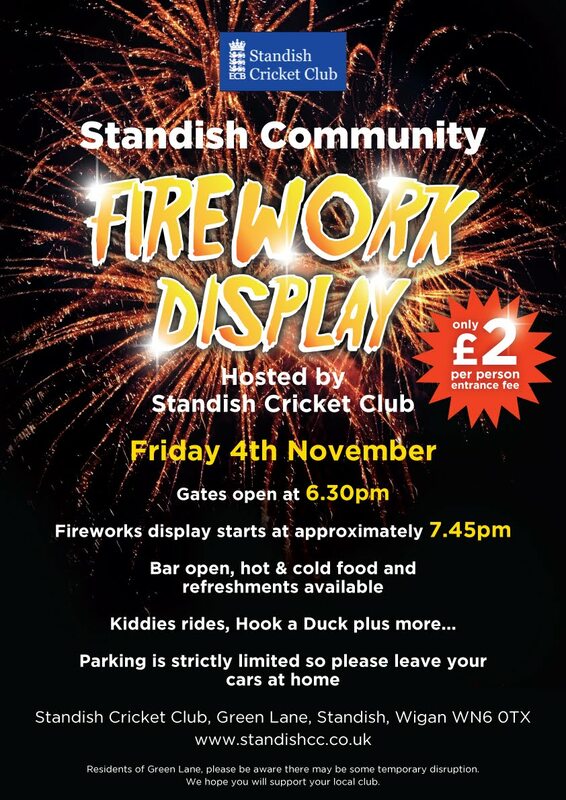 We are pleased to announce Standish Community Fireworks Display will be taking place at Standish Cricket Club on Friday 4 November with gates opening at 6.30pm. Full details as per the attached poster. Awards will be made to the prize winners from each age group- senior and junior members. Please come along and help us celebrate the 2016 season - we will have plenty of awards to give out so we hope to see as many of you there as possible. 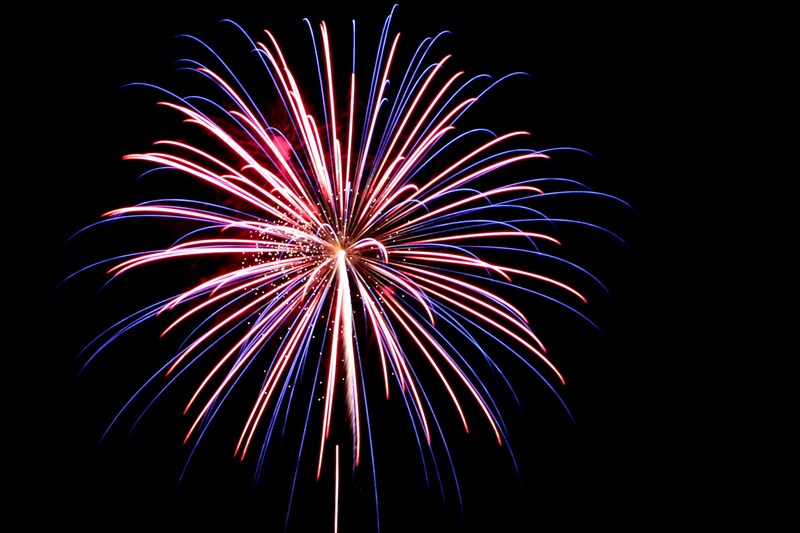 We are trying to organise a fireworks display for the local community on Friday 4th November at the cricket club. As always, we are only going to be able to do this if we have sufficient volunteers to help with taking gate money, supervising the car park, running the bar etc etc. The event should only run for a few hours on the Friday evening so shouldn't impact significantly on anyone's social life (it might even improve it!). This event will benefit both the club and the wider community but whether it ultimately goes ahead depends on getting enough people involved who are willing to give up a handful of hours. As you may know, the regular day to day activities at the club are run by a handful of volunteers who give up their time for free and juggle their responsibilities with their jobs and families. Whilst we do our best, there is only so much we can do without the help of others to run events successfully. The fireworks display is one such event. This is your cricket club and your community which needs to be supported. You don't need to have an interest in cricket to assist, just a bit of goodwill and time. 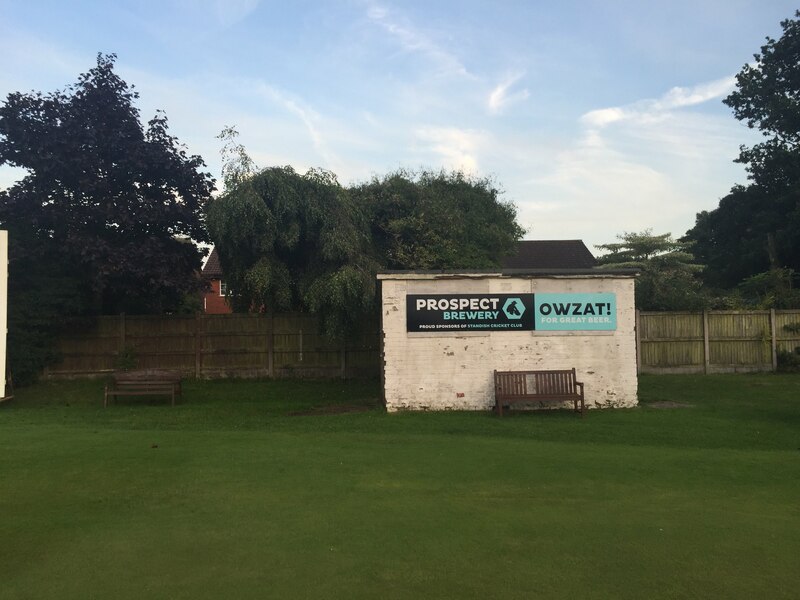 With only a handful of games left in the cricketing season we would like to say a huge and hearty thankyou to Prospect Brewery, a long time and faithful supporter of the Cricket Club. Massive thanks to Patsy and all her team at Prospect. Everyone welcome to sample the delights of the Prospect Ales we have on at the club. Come and support the club each Saturday up to 10th September. 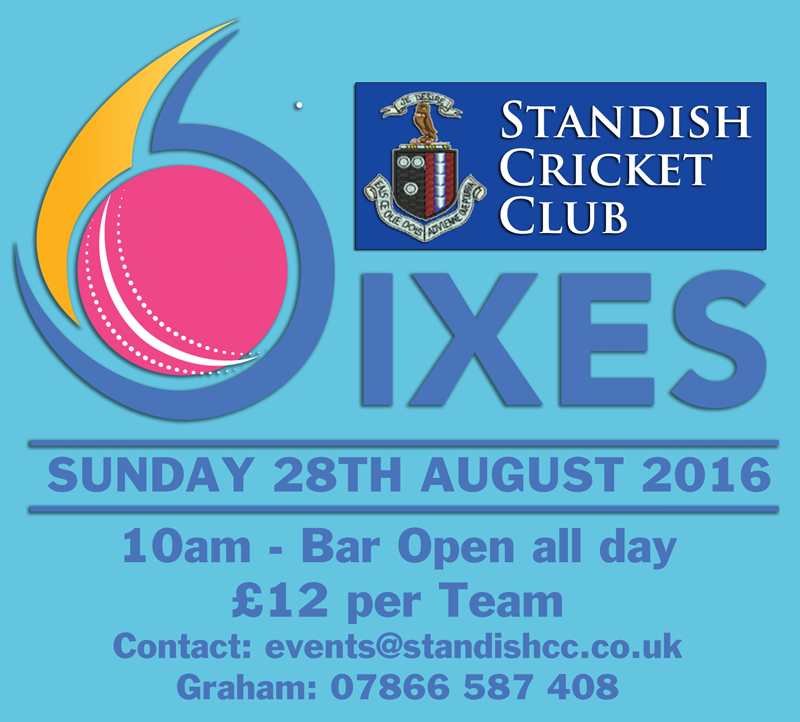 The most popular cricket game of the year “Standish 6's” is back on Sunday 28th August of the bank holiday weekend. This fun-packed event, mainly for non-cricketers, originally called the Pub 6’s is open to a maximum 16 teams. The 6 aside teams to compete throughout the day in a knockout competition from 10 o'clock onwards . 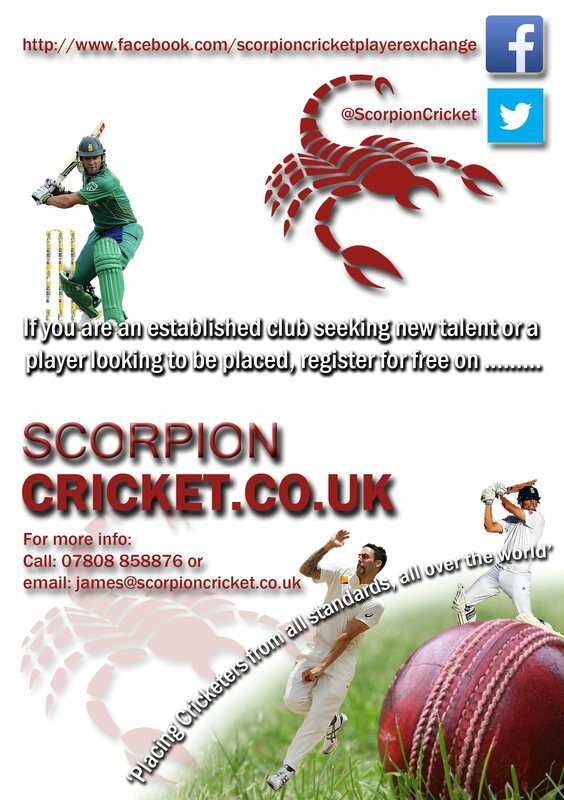 Entry is £12 per team and can only contain one regular cricketer. The tournament is open to everybody and is not played with a hard cricket ball so there is no need for any padding up. 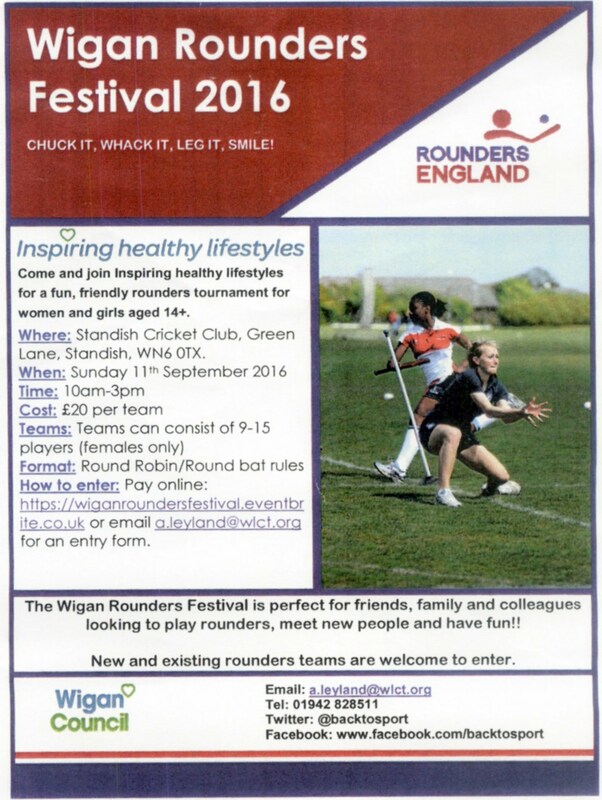 Contact us today to enter your team, its a great fun day to spend with family and friends. The bar will be open from 10am. Food will be available all day. Please Share and repost this to all your family & friends it really is a great day. Open to everyone, come along to watch and have a drink, you won't be disappointed. For details on what's happening at the Cricket Club, match info and also social events, please go to our public Facebook page, everything on there is right up to date, we will still post things in this section of this website but head over to Facebook and take a look.